50 minutes of non stop Hockey! They came 5th and 10th Well Done! District Xcountry at Waddesdon Manor. This was a hard race with lots of hills! Very proud of all the children that took part in this hard competition. For the first time we entered a Gymnastic Competition at Stoke Mandeville Staduim. They enjoyed using the sprung floor and the vault! 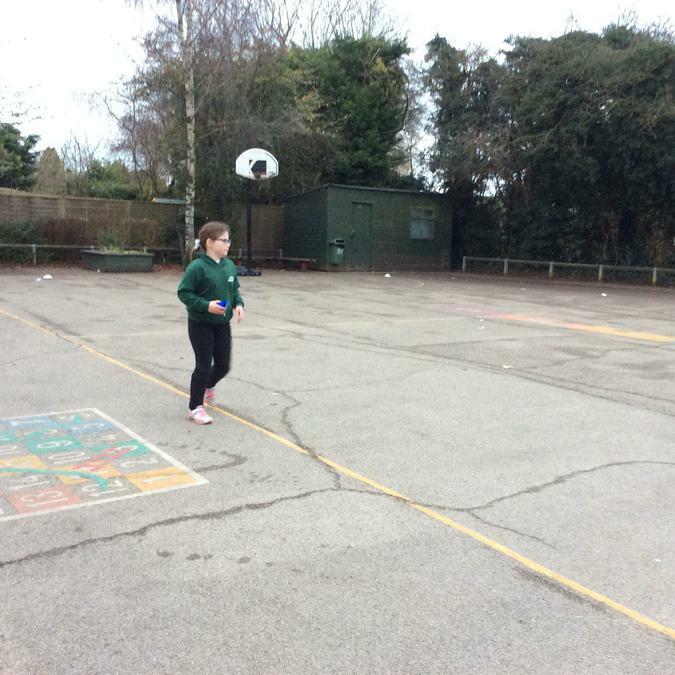 KS1 Badminton at Waddesdon Secondary School. Year 5/6 entered an around the world dance competition. They all were amazing with a fantastic Bollywood routine. Years 5/6, Participating in a range of sporting activities at Sir Thomas Fremantle Secondary School. We had a lot of fun especially winning the tug of war. Wednesday night 25th April. They had a brilliant time participating in all the events. They especially enjoyed the throwing events.Well done! Thank you to all the parents supporting them. Year 6 escaped a Monday Morning to enter a mountain bike event at Buckingham Secondary School. Despite it being windy and cold the children had a hard course to negotiate hills, trees and hard uneven bumpy field. They had great fun and aching legs at the end completing the course many times for heats, finals and the relay! Whitchurch had fun at the Dance final at Buckingham Secondary School on Wednesday 28th March. They danced very well to the theme of Indiana Jones, that included forward and backward flips! and rhythmic clapping. Two Year 4's stepped in to replace people who were away. Whitchurch KS2 children and parents braved the rain and mud at Waddesdon Manor on Saturday 23rd March. They all ran very well on a tough, hilly, muddy course! They had amazing team spirit and lots of determination. we had some great results well done to all who took part! 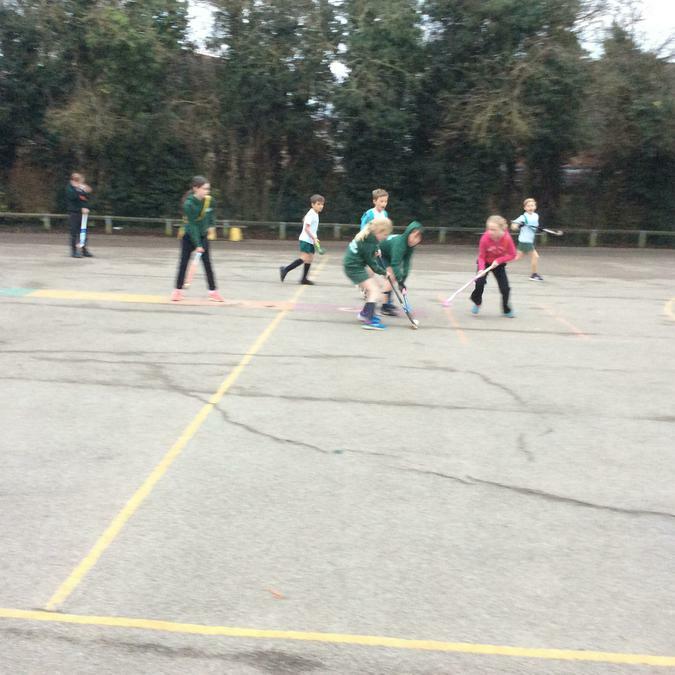 Whitchurch school took two Hockey teams to Waddesdon secondary school. They played three hard games and both teams won first place in their groups. Both teams played in the final against Long Crendon and each other. we came second and third overall against 10 schools. For the first time Dodgeball was put on the festival calendar! Thirteen schools took part. It was a fast ferocious game when the ball hit you, it hurt! We played lots of games and played really well. The boys were focused and determined. They thoroughly enjoyed the games, and came a brilliant fourth! KS2 Dance festival at Waddesdon School was in the theme of Adventure. We danced to the music of Indiana Jones. They danced superbly, kept in time and performed back flips!! It was a hard fought contest with one point between 1st 2nd and 3rd but Whitchurch won! and are going through to the finals at the end of March. Well done you deserved it. This spring term has been very busy. 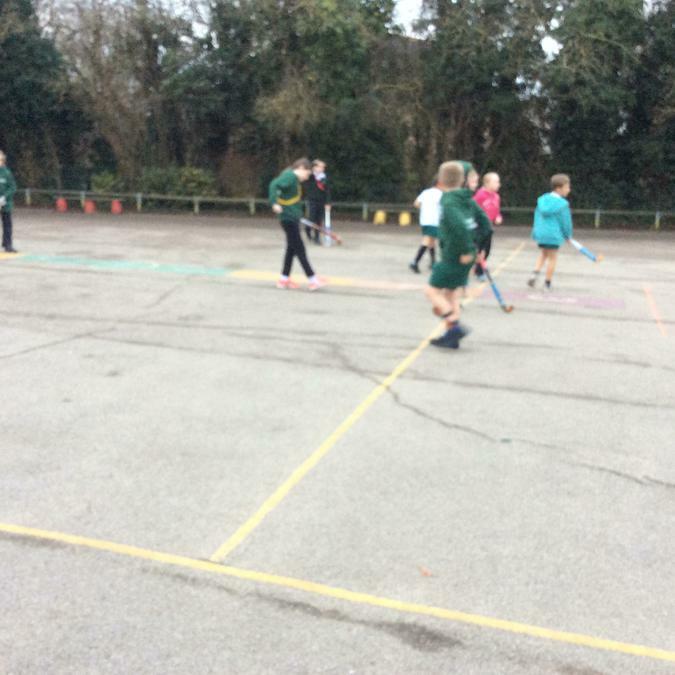 We had the multi skills festival for KS1 in January. We took two teams. They were very focused and enjoyed many fun activities such as balloon keep ups, throwing the beanbag into hoops and crossing the swamp. 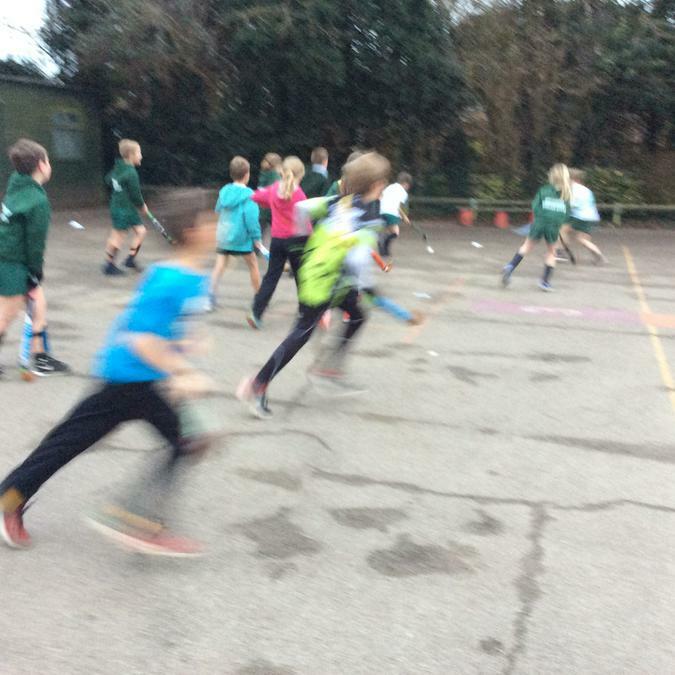 This February we ran in a x-country race at St Edwards School. It was flat in preparation for the hills at waddesdon x-country in March. It was cold and wet but 20 children took part! Thank you to all the parents who brought them, supported them and braved the cold! We were lucky to be invited to a primary leadership day at Stoke Mandeville Stadium. It was a busy fun day with lots of activities and games. The Children were selected from Year 4/5. 4 were change for life champions developing their leadership, knowledge and promoting healthier lifestyles. 3 School Sports Organising Crew members to enable them to promote/run individual challenge competitions, support sports day and help to run/promote house sport competitions. 3 playground leaders to set up and run fun games and skill practice to engage younger pupils at play times. The children learnt a lot about communication, leadership and organising. 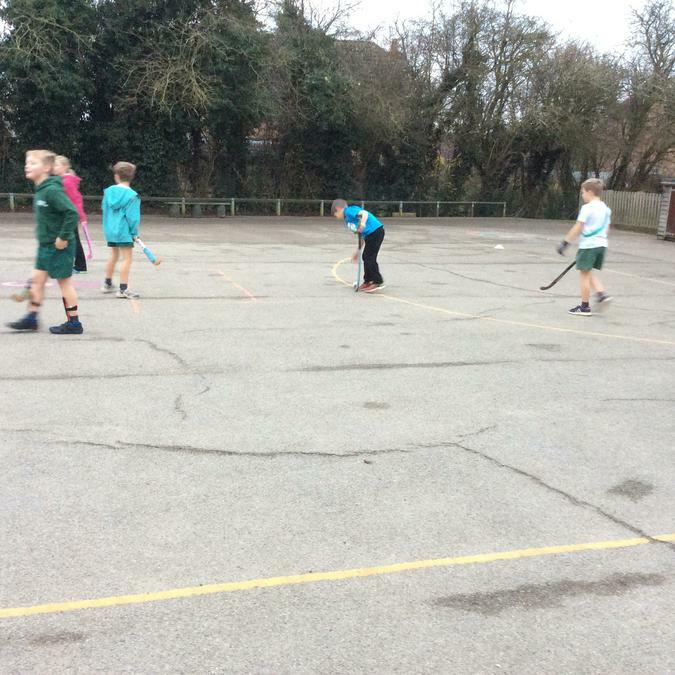 KS2 girls took part in a Hockey Team Up event just for girls Friday 9th February at Newton Longville Astro turf against other schools. 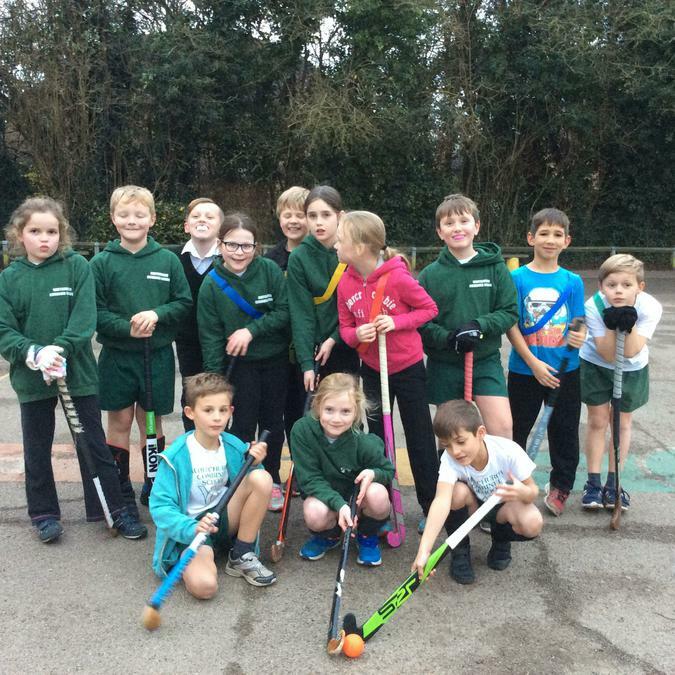 we took a year 6 and a year 5 team which included Maia from year4! They played very well, excellent defending and even though it was cold as always parents supported well. Well done girls! 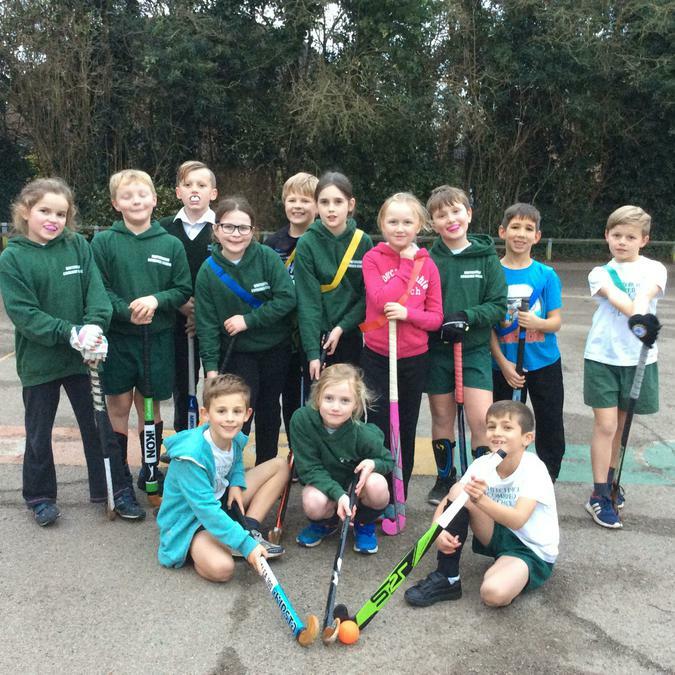 This Autumn Term we have entered some festivals with our Buckingham sports partnership. Year 2 have entered a skipping festival. 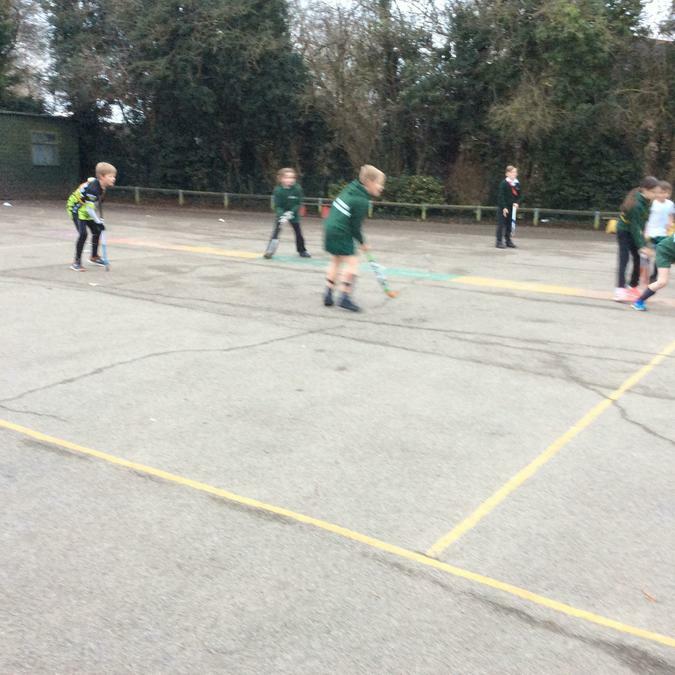 Year 3 have entered a badminton one. 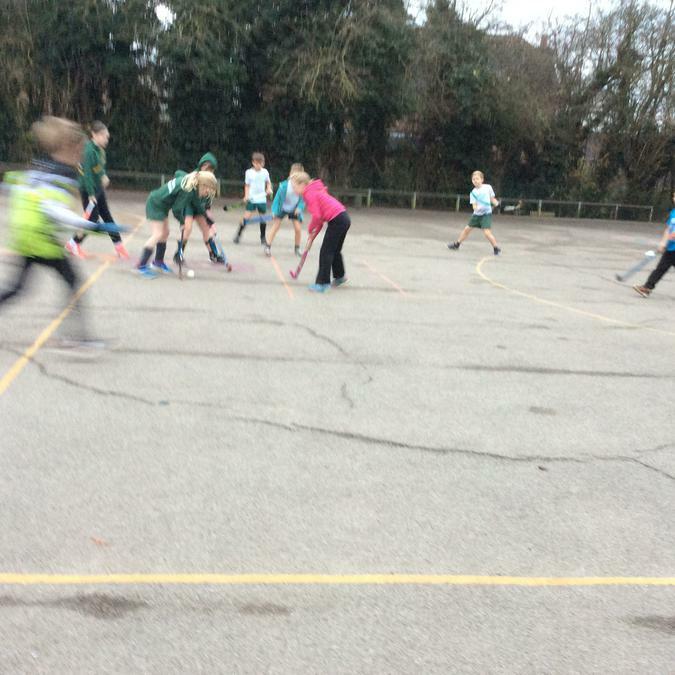 Year 5 have had a friendly hockey tournament against Overstone and St Michael's School. Key Stage 2 entered a Cross Country event at Turnfurlong School. So our sporting year has seen a variety of events. The Football league for year 5/6 boys has started with lots of games every couple of weeks until Easter. 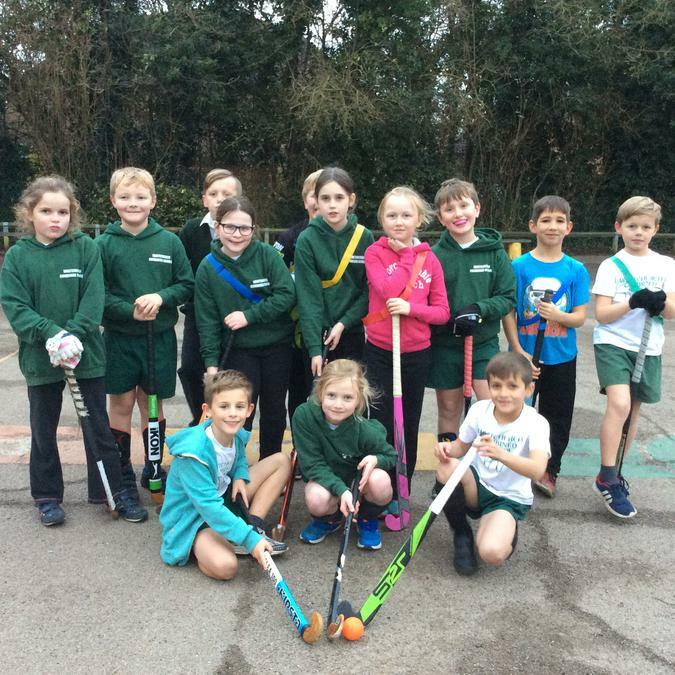 If you want to know more about Sport and Health at Whitchurch Combined School, please contact Mrs. Hunt who will be happy to answer any of your questions. Year 2 Skipping Festival with our Bee mascot ! 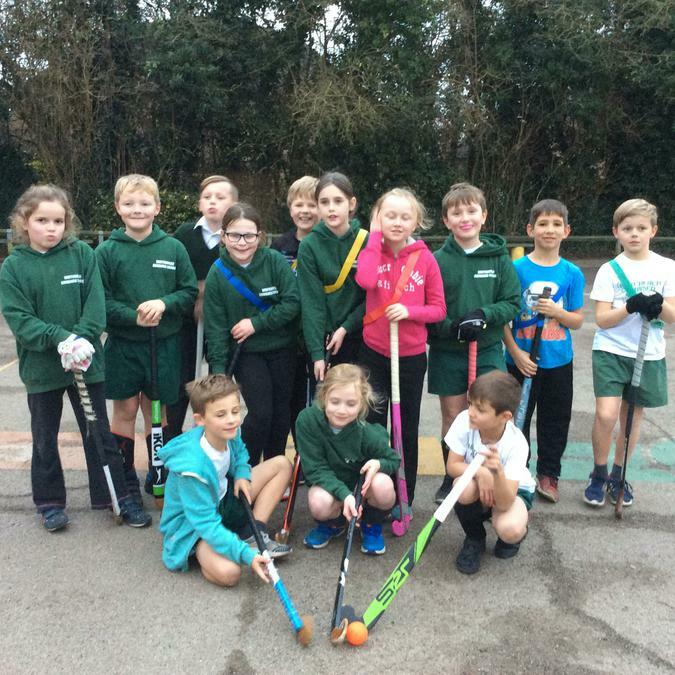 Meet our Year Five and Four Hockey Team.